Only available at MR. PORTER these finds are a summer perfect must have. Mr Tobias Cox co-launched MULO after a sailing trip across the Atlantic. Out on the open water he realized how quickly traditional espadrilles got soggy and uncomfortable, which is why all of the brand’s footwear has gripped rubber soles rather than jute. 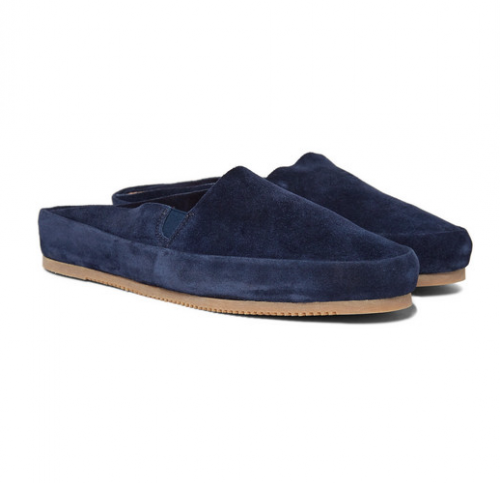 These backless loafers are handmade from navy suede in a 100 step process using an Oxford last, so they fit and feel as sturdy as a formal shoe. Go HERE to get these in your life and get your summer style a boost.